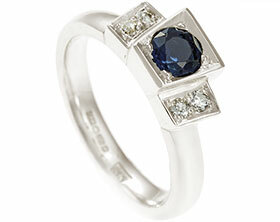 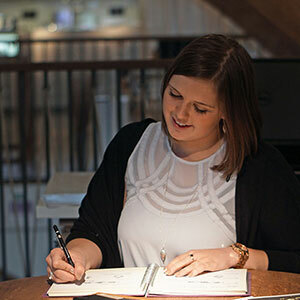 Martin inherited a beautiful cushion cut sapphire from his grandparents and he wanted to include the striking stone in a bespoke engagement ring for Tilly. 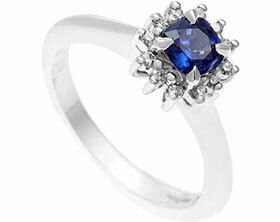 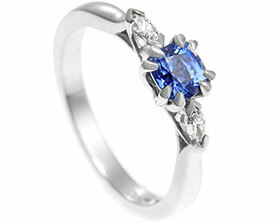 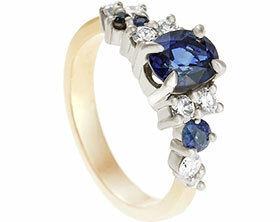 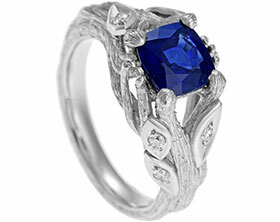 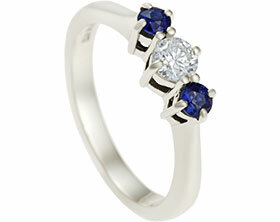 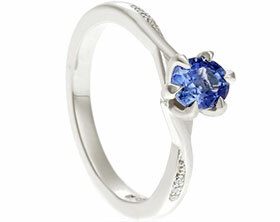 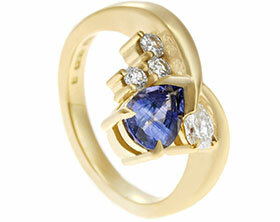 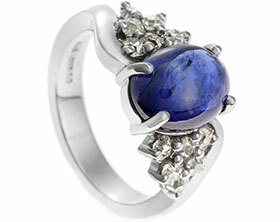 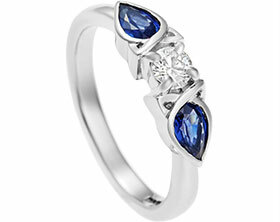 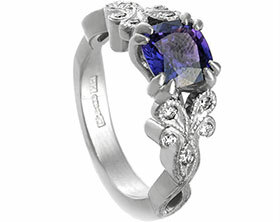 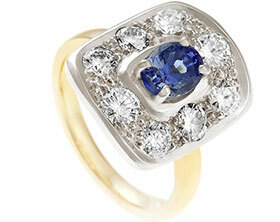 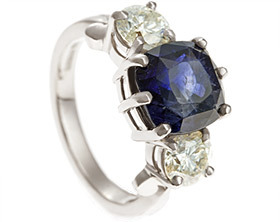 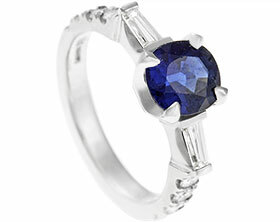 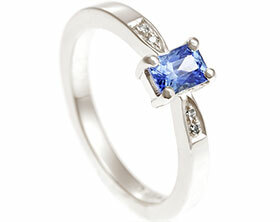 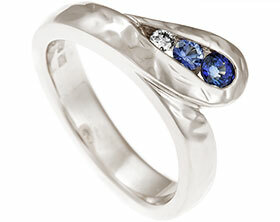 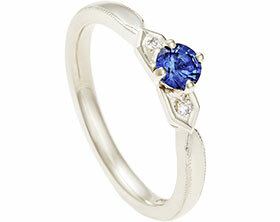 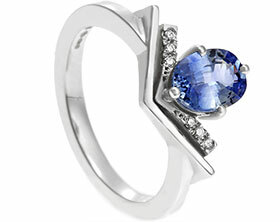 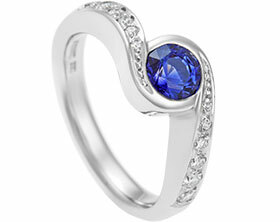 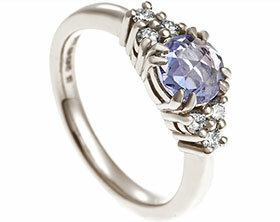 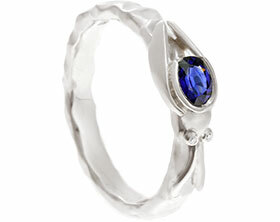 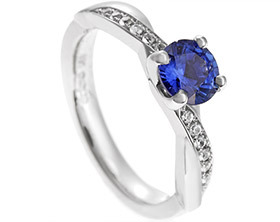 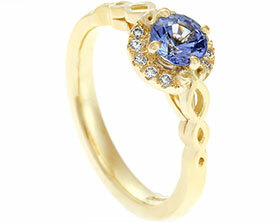 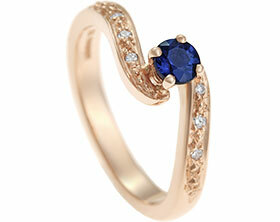 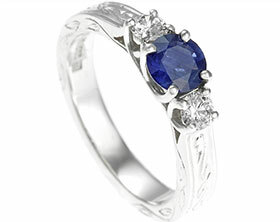 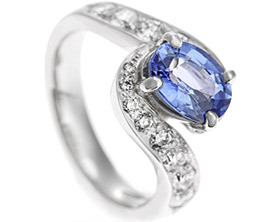 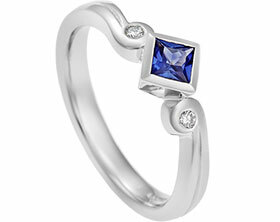 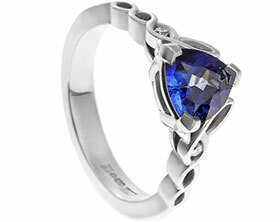 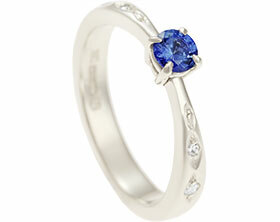 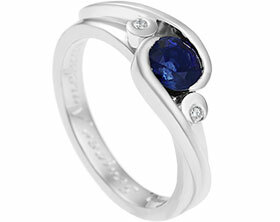 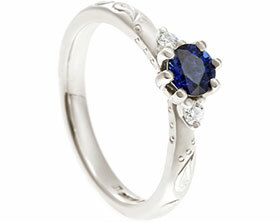 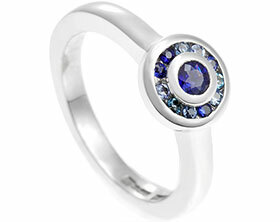 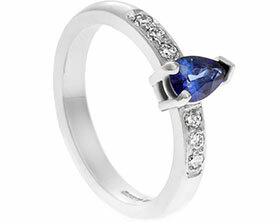 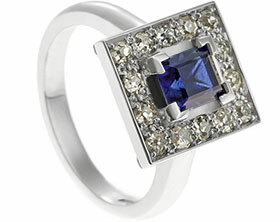 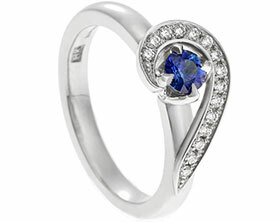 The 14.36ct Sri Lankan sapphire has been set in a four claw setting in order to fully showcase the stone. 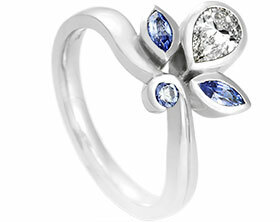 Three round brilliant cut diamonds have been channel set in each shoulder to add extra sparkle to the design. 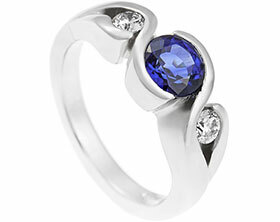 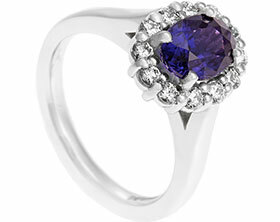 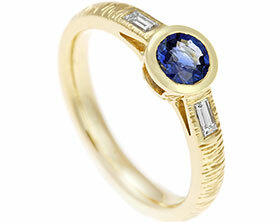 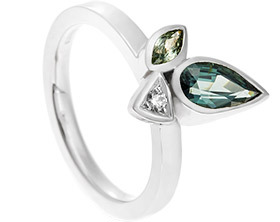 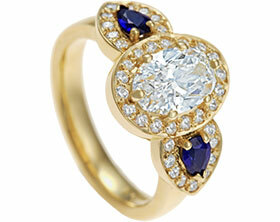 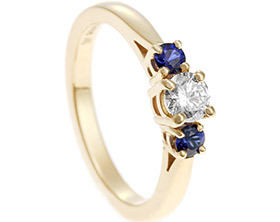 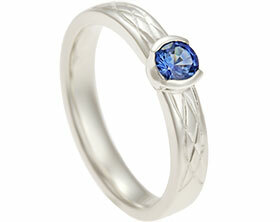 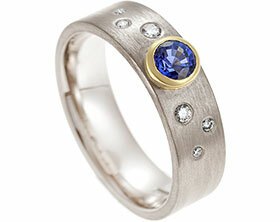 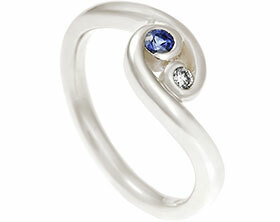 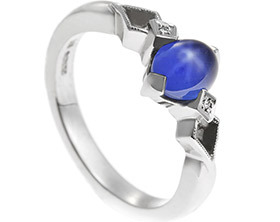 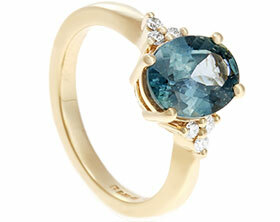 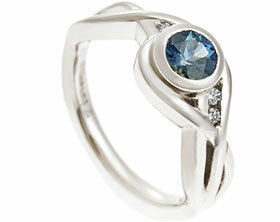 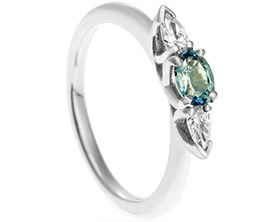 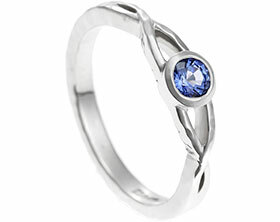 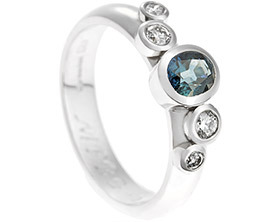 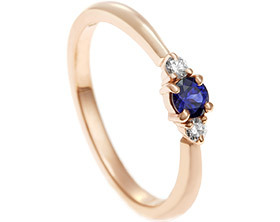 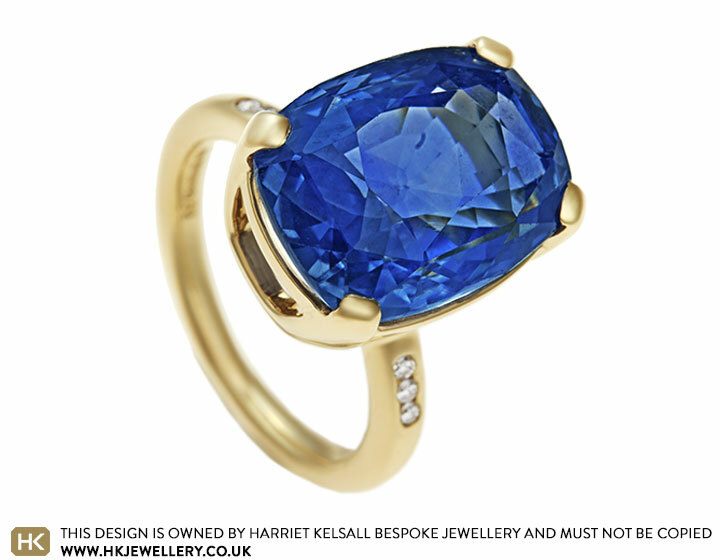 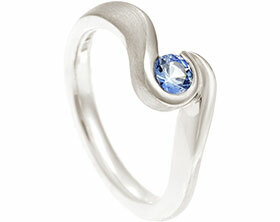 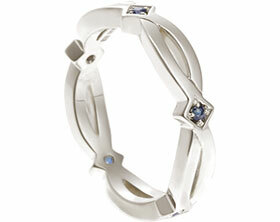 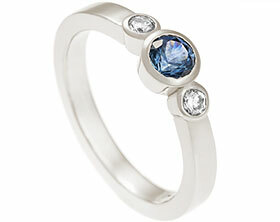 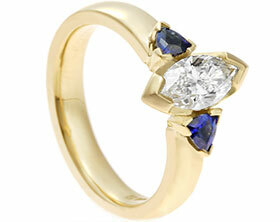 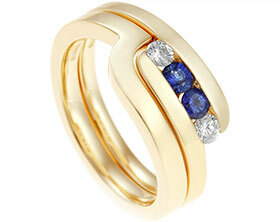 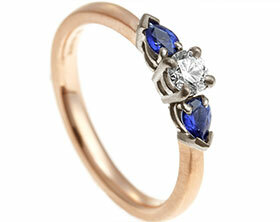 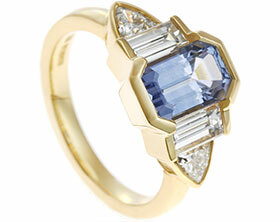 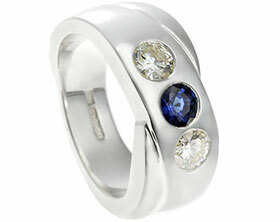 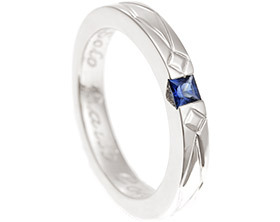 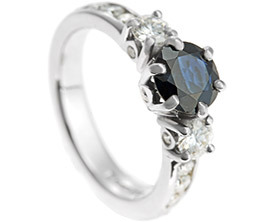 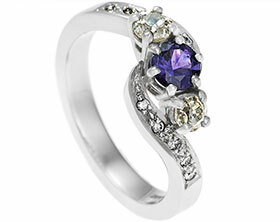 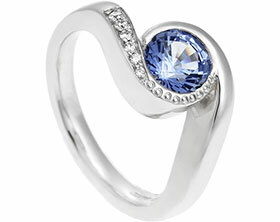 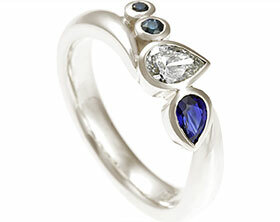 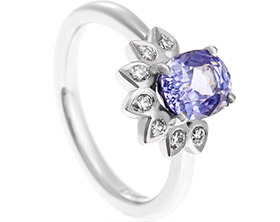 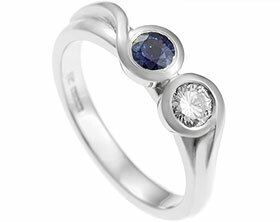 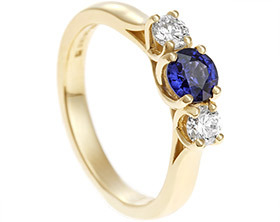 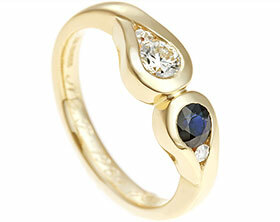 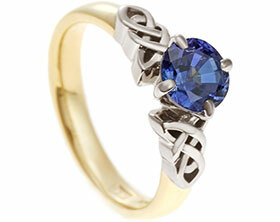 The ring was handmade in Fairtrade 18 carat yellow gold to fit around the precious family stone.